Traumatic injuries in young children and adolescents are a common problem that usually results from accidents, contact sports, falls, and violence. In the permanent dentition, the peak age of trauma incidence is between 8 and 10 years, and the most commonly affected teeth are the maxillary central incisors . 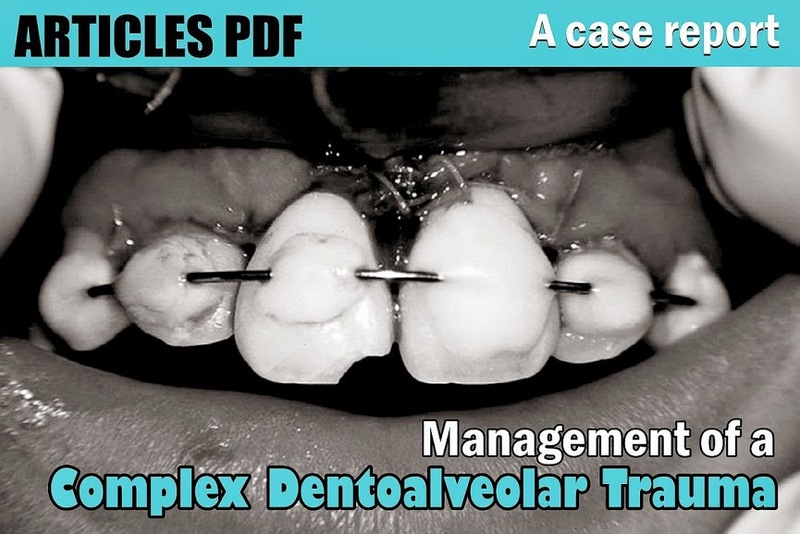 Traumatisms in permanent dentition can appear rather severe, particularly when dental tissue injuries are associated with trauma to supporting tissues. The most common types of injuries affecting periodontal tissues are luxations, whose prevalence varies from 15 to 61%. Luxation diagnosis depends on clinical and radiographic findings; laterally luxated teeth often have their crowns displaced palatally, which usually results in comminution or fracture of the labial alveolar bone and considerable injury to the periodontal ligaments. Although luxation can be clinically diagnosed, a radiographic examination must be done to ensure that it is the only injury. Because traumatic injuries are difficult to treat, the correct diagnosis must also be associated with prompt treatment and a long follow-up period so that the treatment is successful.